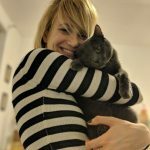 Catarina’s Cool Cat Lady Fashion Series, Edition 3: Let’s Meet the Iconic Miss Patina. Hello, cool cat ladies! It’s time for another edition of our favorite fashion series. 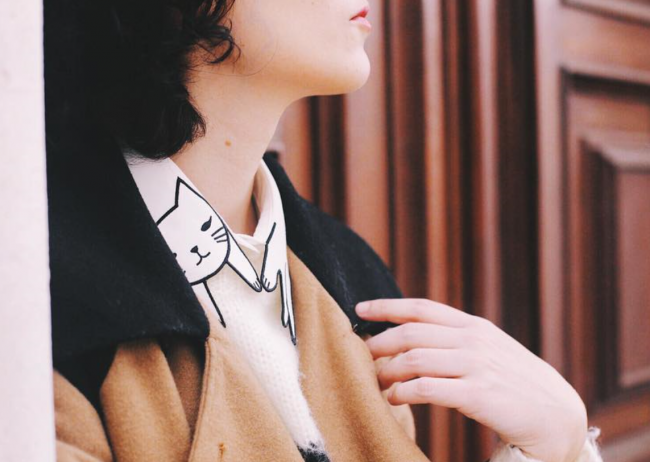 Today’s brand is one of the most iconic when it comes to cat-inspired clothes. In fact, it even has a section on its online shop titled, “cat inspired design”. I’m talking about the British brand, Miss Patina. Miss Patina was created in 2009 by Holly Wang, who graduated from the London College of Fashion. She decided to combine her love for vintage clothes with modern and contemporary design, never forgetting unique details, like special collars, embroideries, or exclusive patterns. 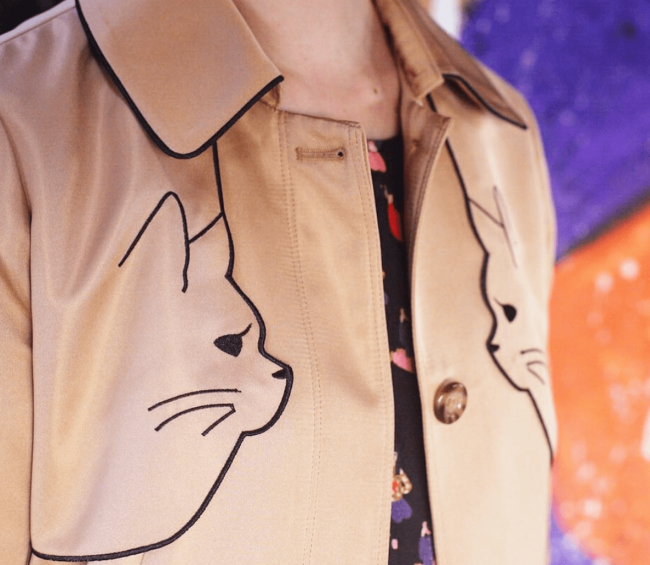 British culture, nature, and, of course, cats are the main inspirations for her seasonal collections, which are always super feminine with a nostalgic and romantic touch. Miss Patina has been featured in several publications, including Vogue, Grazia, Glamour, and Cosmopolitan. It has also been worn by fashionable cat-loving celebrities, such as Taylor Swift, Elle Fanning, and Sienna Miller, among others. 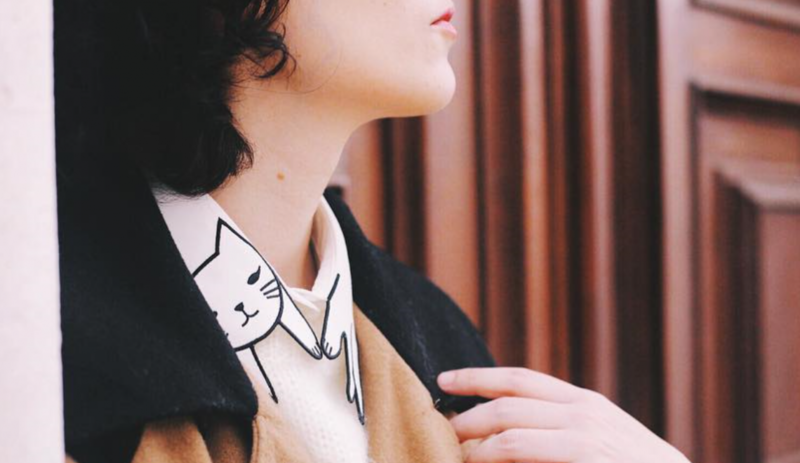 The cat collar is a signature of the brand, it gives any look a playful and quirky touch. But there’s so much more! 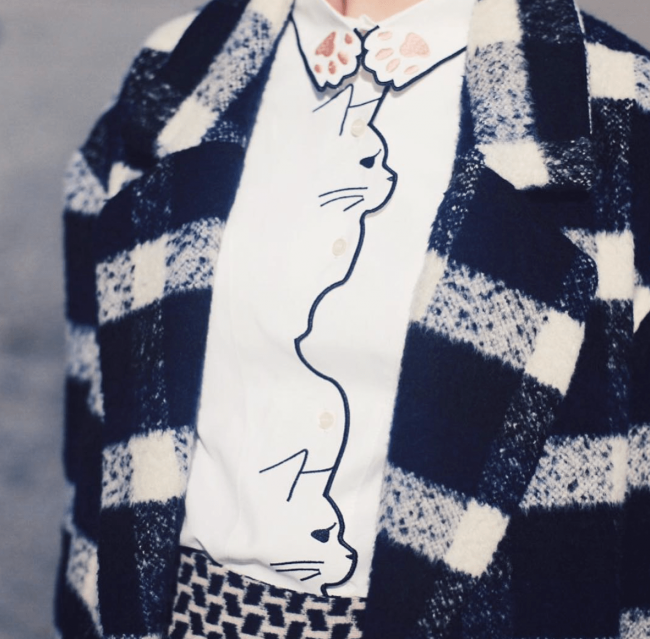 And this shirt with the cat paws collar. 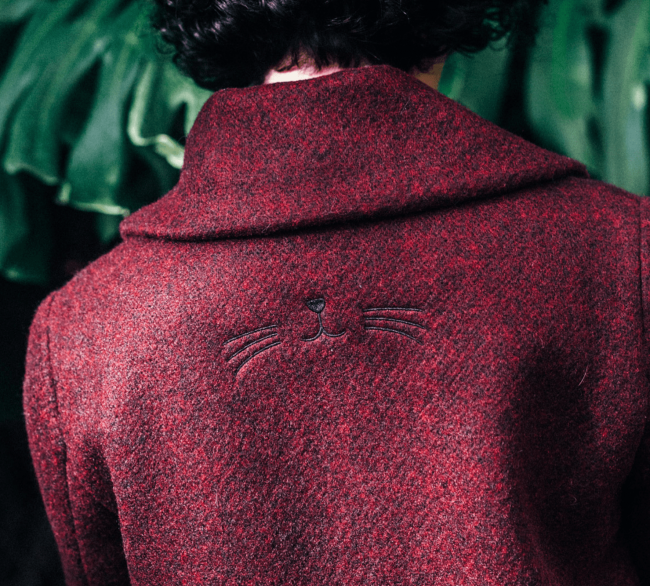 Not to mention, this amazing coat with a cat embroidered detail in the back. Such a discrete and special way to make a piece unique. I believe I don’t have to say anything more, as the pictures talk for themselves. I’m also pretty sure that, by now, you’ve already fallen in love with this adorable brand, just like I did the first time I saw it.